How to Pre-Book Free jio Rs. 1500 Phone via Sms/Site/App/Store to buy Online Offline, How to track Jio Phone Order Status online. Reliance Jio trend is Increasing Day by Day, And Now this time Introduced Free Rs. 1500 Jio phone with Great 15+ Features . 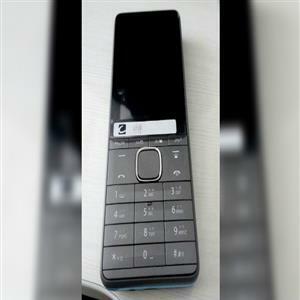 The Mobile Phone is Freely available in Market , Also Comes With Dual Sim So you can also Use Other Network Sim in it. If you wants to Pre-Book & Buy this Free Mobile Phone Offline or online via Amazon , My Jio app then Read this Article & Know More about this Phone & complete Specifications. Recently Mukesh Ambani Owned Announced & launched this Phone Which will be Absolutely Free available in Market. It means you don’t have to Pay any single penny to get this mobile Phone but According to terms you have to Pay Rs. 1500 Security Deposit which you can again Withdrawal Anytime After 3 Years. The Company Also Introduces Free jio Rs. 1500 Phone 2018 New Plans for Calling , Internet data & Free tv. As I Mention above in title , This Mobile phone has 15+ Features & Some is Very Unique Which you Never seen on any Mobile phone. This Free Jio Rs. 1500 Phone is not Smartphone but it has almost all Features of Smartphone Because its 4g Volte Support , Internet Support , Voice Commands, Sd card , Video Calling etc Features Come in it. If you wants to Purchase then you have to Book First then Buy online or Offline via Below Method. Company will be introduce some Phones From 15th August Which available only for some users for Testing purpose Only & From 24th August they will start Online & offline Booking. It will be available in September Month. I think you are confusing about Price, Its Free for all users but you have to Pay Rs. 1500 Security Deposit which you can withdrawal Anytime after 3 years. 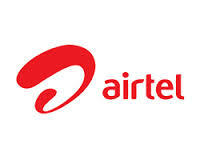 To withdrawal just you will have to see your Mobile Bill or Invoice. They will released 5 Million Units Every week for Indian Citizens But in First Stock they running Booking Process which you have to Do Before Purchase. Free Jio Phone Booking date is 24th August 2017 , Let’s Come how to book at Rs. 0. How to Pre-Book Via Sms :- Just Compose New Sms & Type JP <Pincode> <Jio Store Code> & Send it to 7021170211. 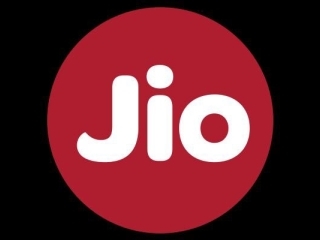 (For Ex:- JP 452001 9846 to 7021170211) Click Here to Find Your Nearest jio Store Code. Online via App/Site- Download My jio App or visit jio.com on Desktop, On app you will get Free Booking Banner. Just click on it to Book after 24th august 2017. For Offline – You can Also book this mobile phone offline by Visiting Your Nearest Jio Stores. After Complete Jio Phone Pre Booking Steps , You will get one Jio Voucher on Your Number via Sms. Use this Voucher to buy Jio Phone From offline Stores. You will get Tracking Details. 2.4 Inch Display With t9 Keypad. You can Insert Your Memory Card. To Run Apps , Comes with 512 mb Ram. Fm Radio , Ringtone , Control your Phone Using Voice Commands, Torch Light. 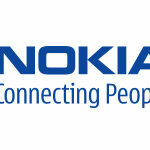 NFC – You can Make Secure Mobile Payments Also Using this Phone because Integrated with Special Chip Names NFC Chip. Wifi Hotspot – So now No need to Purchase jiofi Hotspot Because this One & Enjoy this all Features with Hotspot. More Features – 4 Way Navigation , Both Front & Back Camera , Loud Speaker, 24+ Languages Support , Sos Alert , Video Call Supported , etc. Jio Cable tv Screen Mirroring – Pre-install With jio Cable tv by which you can Connect this Mobile Phone Screen to your Tv and Watch Free tv. This is Supported on all New & old televisions. You can Also Watch Tv on Mobile Screen using Jio cable tv. Now no need to Purchase any Dth Because when You wants You can connect Phone & watch tv on your screen , Also the Plan Starts of Jio Cable tv is From only Rs. 309 for 1 month. In Previous Posts We Shared jio Rumors Which Lyf easy, Feature phone & Rs. 500 Phone. May be This Mobile Phone is from one of them or May be Jio Will be Released that Mobile Also. One More thing Jio Will Introduced Free Rs. 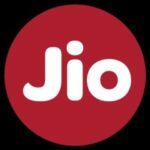 1500 Jio Phone Plans Which starts from only Rs. 24 where user can enjoy Unlimited Calling & Internet data for 2 days. If you wants to enjoy for a week or Month then you have to Recharge by Rs. 54 or Rs. 153 or Check all jio Tariff Plans & Offers. Discussion on "Free Rs 1500 Jio Phone Buy Online From Amazon in Rs 1150"
Yes, it will be available at Rs.0 But you have to Pay Rs. 1500 Security Deposit.